An outstanding sea touring expedition kayak with excellent tracking, performance, glide, and great handling characteristics. 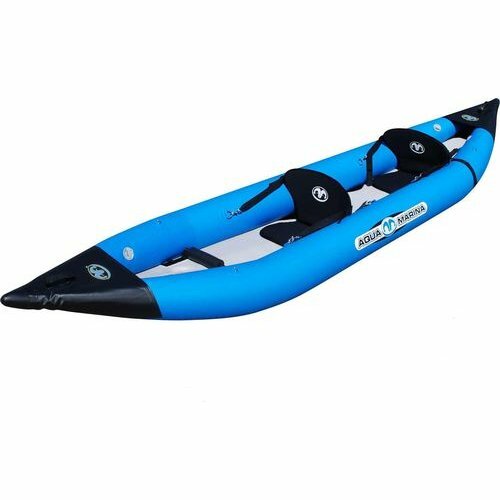 With its rocker design, high-pressure drop-stitch deck, inflatable V-keel, Hard V-cone anti-collision design and super tough 3-layer reinforced fabric, it can be used in up to class 3 white water. 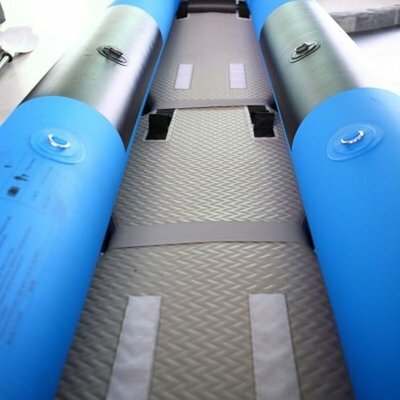 Material: 3 layer reinforced PVC. Double Wall drop stitch core material. 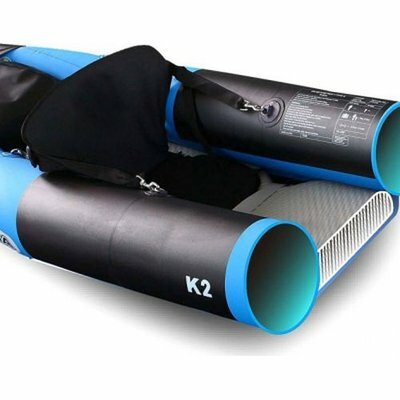 Storage capacity, K2 allows you to 'gear up' for your adventure. 16+1 superfast selfbailing drain valves that can be left open for white water and ocean kayaking or closed for high and dry flatwater paddling. 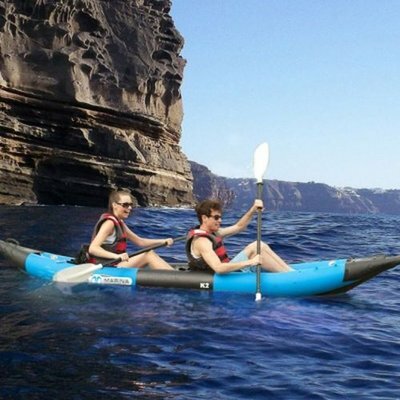 6+1 multiple chambers for safe longdistance paddling safety.